If the science behind your trial is breaking new ground, then plan your advertising to play on that angle to promote the study. The world grows more and more curious by the day, and new developments in science and technology are of the utmost interest to people looking for treatment options. Highlighting new information for therapies or treatments through advertising will draw people who might not have ordinarily learned about the study. When developing all materials, keep in mind FDA guidance for recruiting study subjects. Advertising for recruitment into investigational drug, biologic or device studies should not use terms such as "new treatment," "new medication" or "new drug" without explaining that the test article is investigational. A phrase such as "receive new treatments" leads study subjects to believe they will be receiving newly improved products of proven worth*. An empathetic approach can be effective with certain therapeutic areas, patient profiles, and conditions. When going in this direction you must be authentic. Avoid images that look staged or posed. When using images of people, make sure you reflect the patient profile. If someone sees an image they don’t identify with, you will likely lose their interest. Keep your core message stimulating and appealing. Your audience will have no choice but to pay attention. There is no better way for your study to get recognition than through partnerships with a reputable institutions or organizations. Local and national advocacy groups are great resources to access an engaged patient community, outreach, and special events. If the study is being conducted at a nearby medical institution or a teaching hospital, look into institutional promotional and outreach options. There are often specific opportunities for direct contact with patients and physicians that can open doors and add credibility to your study. Institutions have a powerful reach, and can get your information to a broad audience that includes alumni, sponsors, and current professionals in the field. Believe it or not, print advertising still works! However, instead of a traditional ad, consider a more editorial approach by placing an article about the study in local newspapers. Keep in mind your audience isn’t only prospective study participants. Nearby primary care physicians might see the article, which can increase your chance of new referrals. Patients trust their primary care physicians above all else. If the recommendation to participate in a study is coming from their doctor, patients are far more likely to participate in the study. 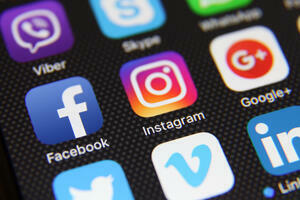 More and more studies are turning to social media to expand their advertising reach. It might be different from traditional marketing, but it is entirely possible to thrive, and use social media to your utmost advantage. It also presents a unique set of intricacies to be aware of. When a post or article on social media platforms like Facebook and Instagram is shared to friends, family, or followers, it gains reach and number of impressions. However, it can be difficult to maintain control over the narrative. You lose the ability to control how users are communicating the information. For this reason, it is important to make your advertisements as clear and informative as possible, so that potential patients can see the facts for themselves, and aren’t misled by what the rest of the social community thinks. It’s clear that communication tactics to get your study visibility can come in many different forms. All of these options lend credibility, excitement and awareness to studies, which can attract both new patients and physicians. While promoting your study can sometimes feel like a minefield, with some creative strategizing great success can come from bold campaigns. Thinking outside the box with your advertising in situations like these might feel like a long shot, but it can pay off big time.